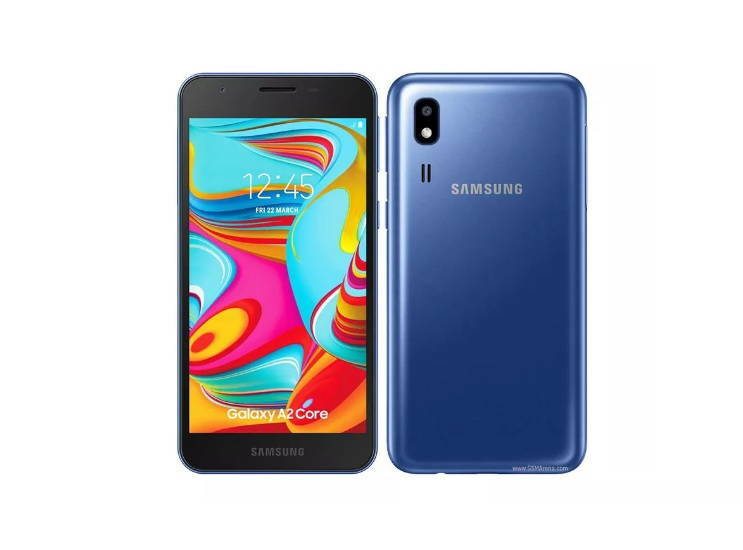 Samsung brings a new affordable Android phone to the Indian market, the Samsung Galaxy A2 Core. A couple of days back, Mumbai-based mobile retailer Mahesh Telecom reported that the Galaxy A2 Core is coming. Today the retailer shared that the phone is now available. It’s a budget smartphone which runs on Android (Go Edition) OS and offers a plastic build body. The retailer not only shared the price but also the features of Galaxy A2 Core. Let’s talk below the hardware configurations of the handset. The Galaxy A2 Core has a 5-inch display offering a resolution of 960×540 pixels. Samsung’s in-house Exynos 7870 processor powers the phone. You get 1GB of RAM and 16GB internal storage which can be expanded through micro SD card. It runs on Android 9.0 Pie (Go Edition) and sports a single 5-megapixel rear camera. On the front, there is a 5-megapixel selfie sensor and a 2,600mAh battery fuels the handset. The retailer reports that the Galaxy A2 Core is now available for purchase in India at a budget price of Rs. 5,290. Right now, there is no word if the phone will be available via online platforms or not.